I’m not lactose-intolerant – rare among the orientals, thanks to my mum feeding me copious amounts of milk right into adulthood. Sadly, my 23-year-old son has problems digesting lactose but tolerates cheese better than milk. Even now I have milk in the morning and at night, but low-fat of course. And yet, a bone scan indicated osteopenia – sigh. There’s lots of controversy regarding the healthfulness of dairy but those of us who love our milky beverages, ice cream, clotted cream, Brie, paneer and so on are loath to give it up even if it’s believed to be mucus causing. 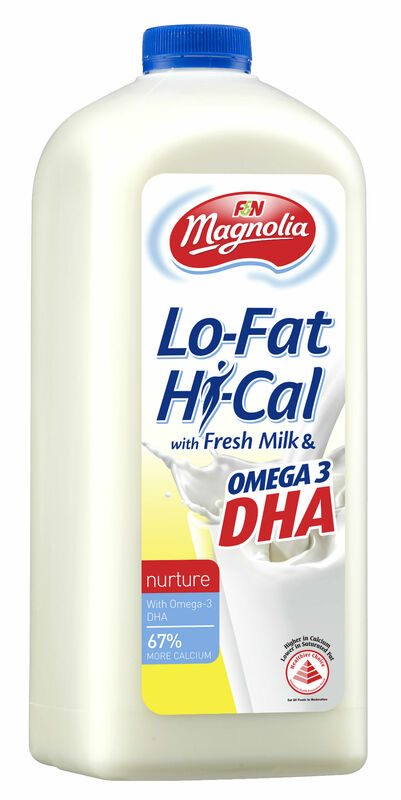 When I received a 2-litre pack of F&N Magnolia Lo-Fat Hi-Cal Milk, I glugged down half of it and used some to make puddings. With mango and evaporated milk, you get the consistency and taste of the mango pudding served in Chinese restaurants. But to lower calories, substitute low-fat milk for much of the evaporated milk. If you use only low-fat milk, maybe you can get something that resembles a very light panna cotta. 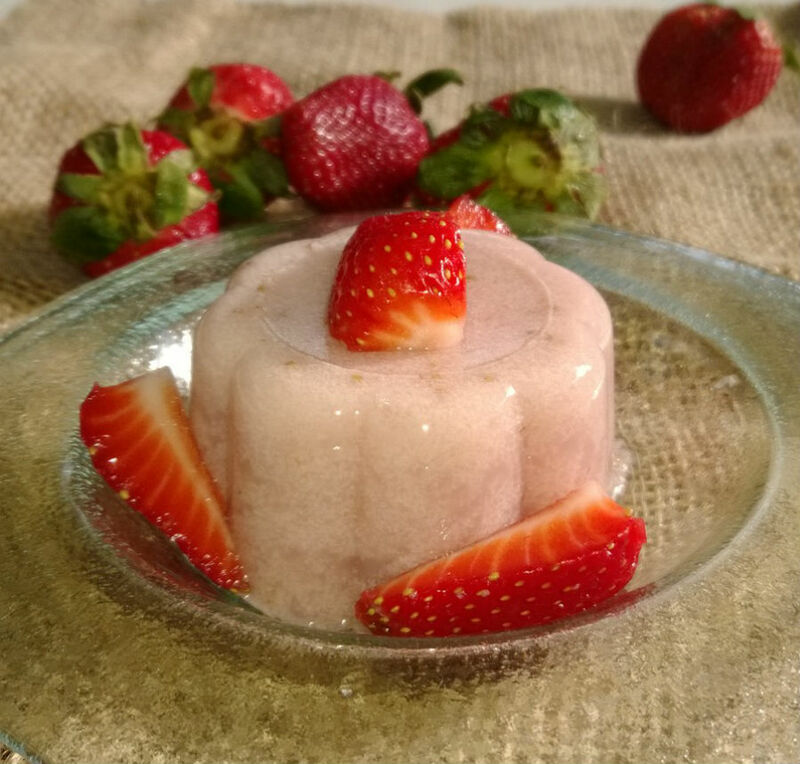 Panna cotta fans will laugh with derision – we know panna cotta requires heavy cream which accounts for the rich smoothness, but dieters can’t be choosers. In a medium saucepan, mix the agar and sugar with 500ml water. Bring to a gentle boil over low heat, stirring constantly. Gradually add evaporated milk, stirring until well blended. When the mixture starts to boil, turn off heat and add fruit. Pour into rinsed jelly moulds. A photographer I once worked with asked “Is it boring?” when we kept referring to a dish as a dhal (dull) curry. On the contrary, dhal or lentils make such yummy dishes that even my carnivore husband takes second helpings when dhal is served. Doesn’t that sound deliciously warm and comforting? Lentils are cheap, nutritious and versatile. There’s such a variety and they can be served in stews, soups, with salads or as spreads. The high fibre helps stabilise blood sugar and with 26% of the calories attributed to protein, and the high iron content, it can help us live healthily without hurting animals. I like my dhal with a generous dollop of yoghurt – looks messy but tastes heavenly. With the increasing number of diabetics in Singapore (and elsewhere), we would do well to switch to complex carbs and low-fat but satisfying ingredients that don’t leave us famished after a while and craving cookies and crisps. As someone who is mesmerized by chocolate, cake and salty snacks, I know how important it is to feel full enough to resist the tasty offerings passed around the office, or calling my name in food malls. Here’s a dhal dish from the Indian Vegetarian Cookbook by Prava Majumder and Sumita Sen-Gupta published in 1989 by Times Books International (now Marshall Cavendish). I have fond memories of working with Mrs Majumder whose recipes were featured in the magazine I then worked at. 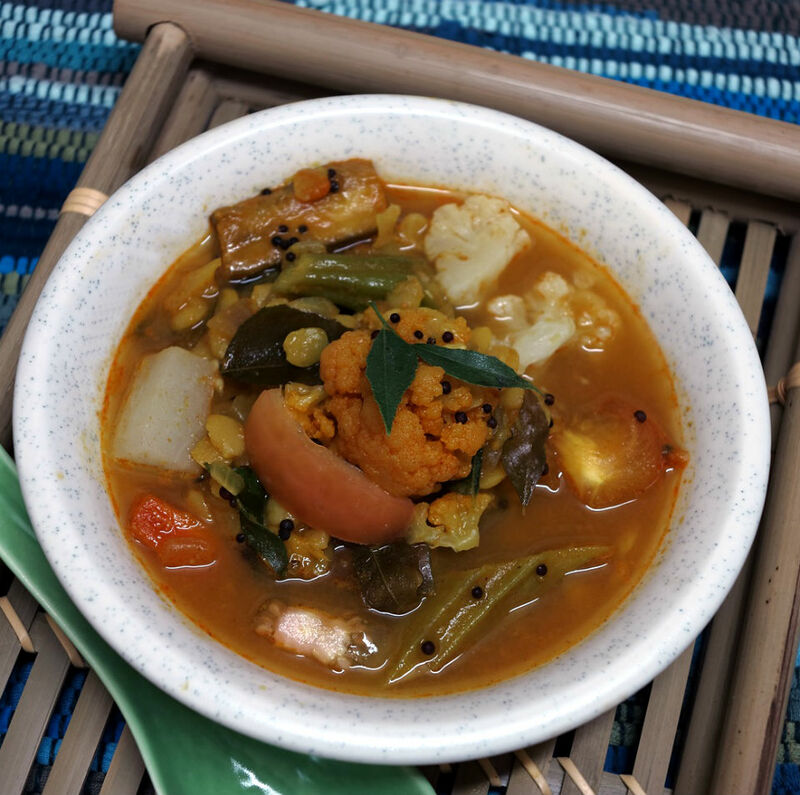 Make a big pot of this sambar and freeze in batches to savour whenever you want something simply good. Wash dhall and then boil with salt and turmeric powder. Cook with saucepan covered. When dhall is half-cooked, put in all the fresh vegetables except cauliflower, green chillies and tomatoes. When vegetables are three-quarters cooked, add cauliflower, green chillies, chilli powder, sugar and tomatoes. Remove boiled mixture from fire when cauliflower is half-cooked. Heat oil in a pan and fry dried red chillies, curry leaves and mustard seeds till they pop. Add ginger and onions; fry till light brown. Add the cooked dhall and tamarind juice; leave to simmer for a few minutes before removing from fire. Serve Dhall Sambar with plain rice. For mouth ulcers, dab 100% pure lavender essential oil. I was bothered by a painful ulcer for 10 days. Bonjela and Difflam Mouth Gel did not help. I was advised to apply salt but no way was I going to subject myself to more suffering. My colleague suggested lavender oil. I happened to have a bottle of Young Living lavender oil but any reputable brand will do. It goes on painlessly but the taste isn’t great. 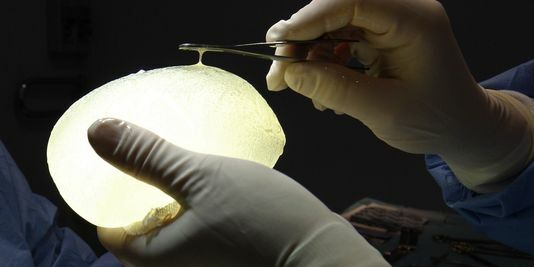 The effects were almost immediate and the ulcer was gone in two days. I’m looking forward to a break in Penang with my girlfriends next weekend. We’ll be staying at the Golden Sands Hotel right on the beach which sounds fabulous but with my hyper-pigmentation, it means taking cover under umbrella and beach hat, and avoiding the outdoors at high noon. When buying sun protection products, what should we look out for? How do we know what will work? When buying sun protection products, try to get one with a good SPF, preferably SPF 50 plus. Be careful of sunscreens that are too oily and that can clog pores especially if you are acne prone. So I would personally recommend the use of Heliocare SPF 65 sunblock which will give you a protection of at least SPF 30. I personally use a non-oily base and apply it often in a day without worrying about blocking my pores. Are there foods that will help protect against sun damage, and repair damaged skin? How much or how often would we need to consume these? Eating fatty fish such as salmon, cherries, pomegranates, and drinking green tea help protect against sun damage because of the antioxidants they contain. However, more importantly, one should avoid direct sunlight, using a hat or umbrella, especially in hot countries like Singapore. On a supplement like the Heliocare Pure White Radiance whitening supplement, how long can people expect to wait before seeing results? From our experience, results are seen after a period of 3 months, but some patients actually see an improvement in uneven skin tone after a month. Lightening and brightening of skin is also reported after a month. The supplement is halal certified, so it’s suitable for all. What is the advantage of Fernblock v the ingredients used in most commercial sun blocks? 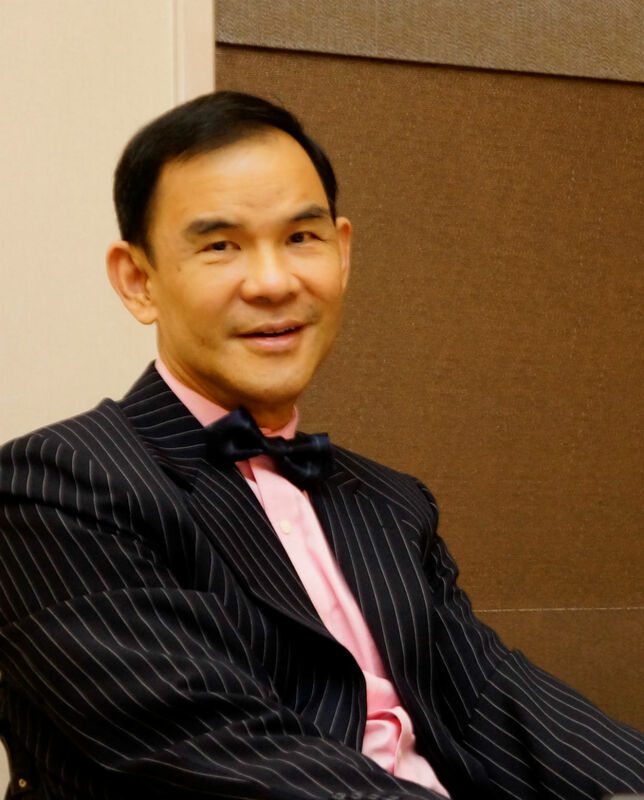 Dr Thomas Fitzpatrick, discovered that Fernblock can prevent as well as lighten pigmentation, and to stimulate collagen and elastin, thus having the ability to firm up aging skin. How high should we go with SPF? Some friends say their doctors put them on SPF 90. For outdoor sports even higher than that would be good provided it suits your skin. For golfers and joggers I use SPF 100! Again for the same reason that nobody slaps the required thickness of sunblock. I also remind patients that no matter what claims are made on the duration of effectiveness, studies show that after 2 hours we need a fresh layer of sunblock again. So on holiday, jogging or golfing just have to reapply every 2 hours; plus of course your hat to cut off direct sun on your face.